At Spannocchia we understand the importance of experiential learning, especially for the littlest of hands. 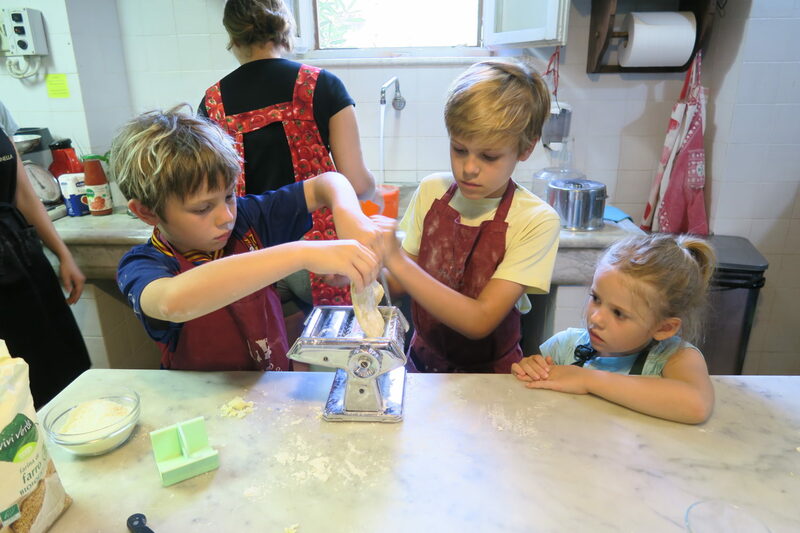 We have designed a cooking class for children ages 6 to 10 that encourages them to form deeper relationships with their food, the place it comes from, and the person who has produced it. The class will begin with a trip to the vegetable garden. Here, the children will pick an ingredient of their choice to be incorporated into their lunch. We’ll also meet our gardener, Yago, and learn about worms and compost and all the cool stuff that happens within the walls of our Orto. Next to the kitchen, to make fresh pasta and dessert, lots of hands-on work guaranteed! Together we will create a 2-course lunch (with snacks) in a fun and educational atmosphere. Lunch will be served in the dining room at 12.30. Not only is this a fun way for kids to spend a morning at Spannocchia, it allows parents time to relax or perhaps check out a local winery. Ottimo!